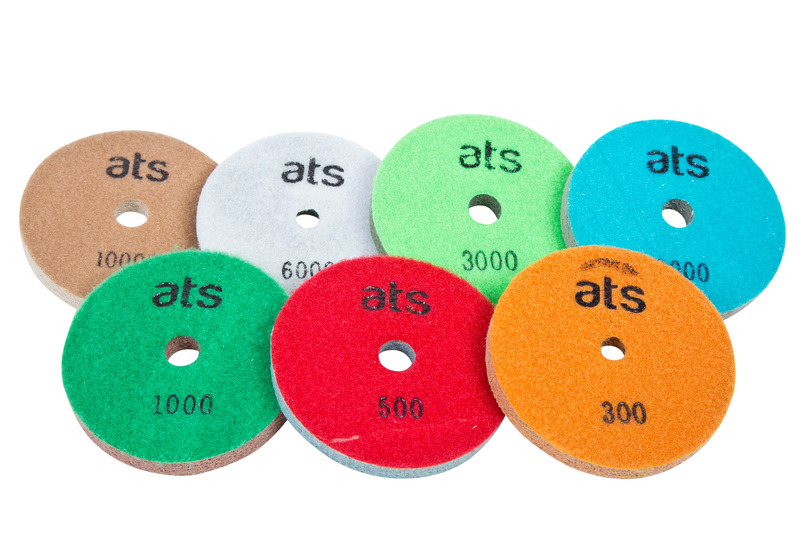 100mm or 125mm diameter 10mm thick rigid sponge diamond polishing pads for quartz engineered stone. These pads come from the floor refurbishment industry and are designed for repolishing agglomerates, artificial marbles along with liquid penetrants and hardeners on polished concrete floors. However it was discovered they polish the edges of quartz worktops very well. The diamond grit is on the surface of the pad rather than impregnated in resin, this removes the friction that causes the resin burn problems associated with man made quartz worktops. These can be used wet at up to 3000rpm or dry up to 2000rpm. 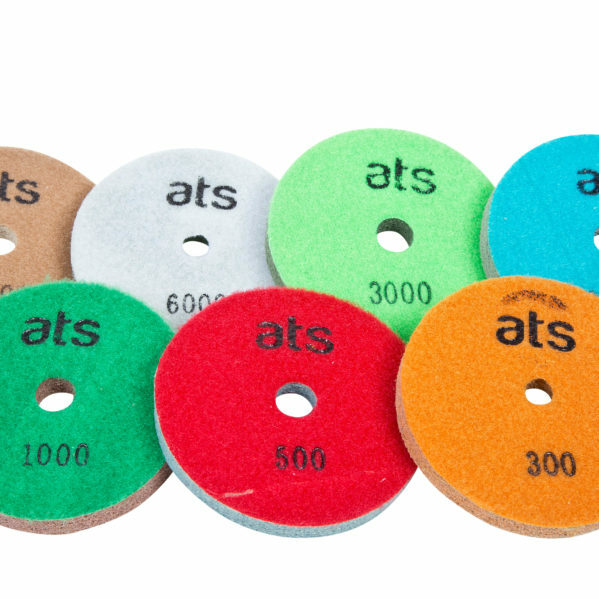 From feedback we’re finding that stonemasons are using traditional resin bonded pads at the lower grits from #50 through to #200 or #400 to getting everything flat and smooth then changing to these pads to bring up the shine. Available as a set or as individual grits from #300 through to #10000. The set of 7 pieces comprises one pad of each grit. Other sizes are available but as the diameter increases the price increases disproportionately.